Can you win people over without touching their hearts? The answer to that question is an absolute no. The truth is, you need to get a hold of someone’s heart to be able to get their full attention in the long run. That’s one of the reasons why tourists are drawn to the Philippines. Filipinos are able to capture people’s hearts time and time again. Everyone knows the function of our physical hearts, but how many people out there are aware of its spiritual role? While many versions of stories can be found about this, the spiritual heart is usually represented by the colour pink and is referred to as the centre of love. It is basically a gateway for us to strongly connect to the Divine and a tunnel for us to bond with others on a heart to heart level. Jesus and the Virgin Mary as well as Saints are sometimes depicted with an open heart on various paintings. Speaking of hearts, the heart of the Philippines lies in the Visayas region. While France has Paris known worldwide as the city of love, the Philippines has the beautiful Iloilo as its city of love. Another island next to it is known as Bacolod, a place where a colourful, grandiose and fun festival takes place on an annual basis known as the Masskara. When you arrive in the Philippines, you’ll notice that the Filipinos go the extra mile when it comes to making people feel welcome. You can’t help but feel their hospitality and reciprocate. If you have something on your mind whether it is a problem that you wish to rectify or a desire that you wish to see come to fruition, try lighting a candle followed by a wish, intention or prayer. You don’t even have to be a Catholic to include your prayers, and that’s not the only place for you to do so as the Philippines is home to an abundance of Cathedrals. You can even write your wishes on a piece of paper and attach it to the many prayers near the enshrined statue of the Virgin Mary and Jesus at Jaro Cathedral. Located at the heart of Jaro of Iloilo, this Cathedral is the seat for the celebration of the feast day of the patroness for the whole district and the whole of Western Visayas. Jaro Cathedral is one of the 18th century structures still remaining in Iloilo. If you’re not there to offer prayers, admire the solemn interiors and get to know the history of the place. There is a unique pilgrimage resort in San Joaquin that came up with an idea of letting everyone experience heaven without having to travel to the afterlife. It is known as Garin Farm. 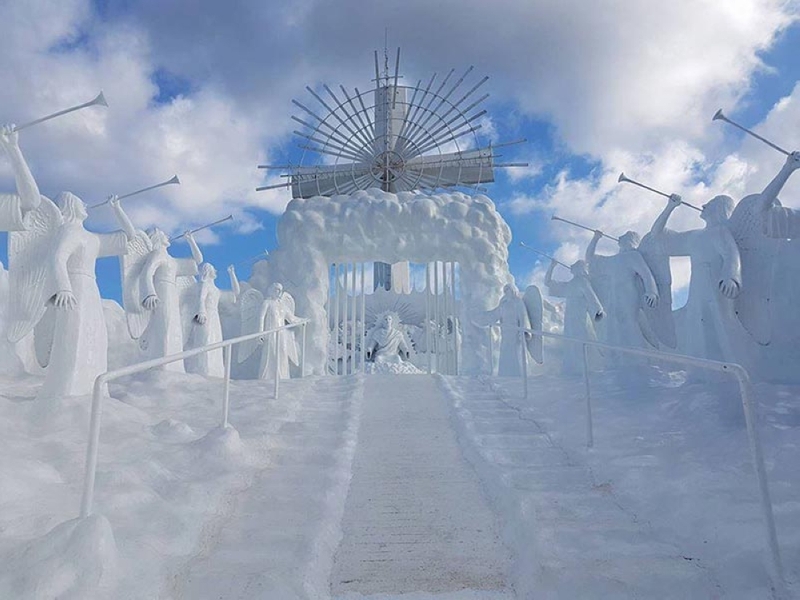 Head to this place which is an hour away from the city of Iloilo to experience their version of Heaven on Earth. It also allows you to meditate on the birth and life of Jesus Christ. You can either take a vehicle up to the place or walk up the 456 steps! Basically, Garin Farm is a resort that integrates agriculture, leisure and religion to create a farm, a recreational place and a pilgrimage site all in one location. Awaken in the morning to the panoramic views of the sunrise on one of their 7,641 beautiful islands and enjoy the Champorado – a typical Filipino breakfast that consists of rice and chocolate. Put some milk in it and there you have it,a hearty breakfast for the day! You’ll also love the Turon (the Filipino fried banana roll). It is the superstar of Filipino desserts, an enduring presence in hawker stands, office cafeterias and restaurants. Part of the appeal of the Turon is its simplicity. It is basically a combination of a few ingredients that work remarkably well with each other – banana, jackfruit, lumpia wrapper and sugar. 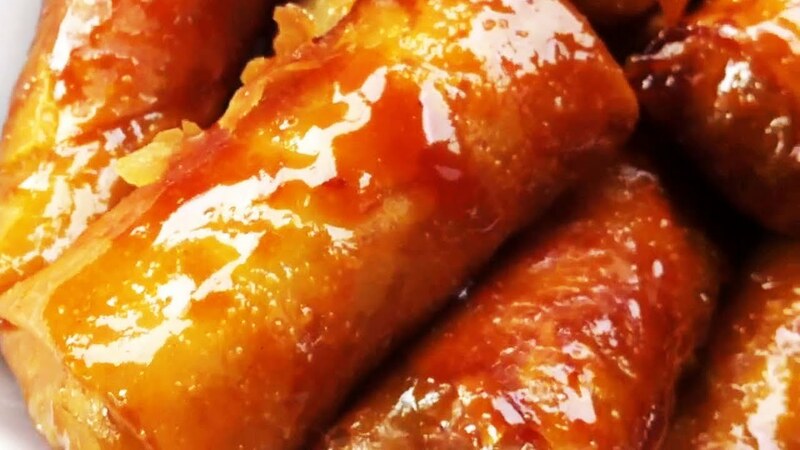 As a popular Filipino snack to sample, the Turon is sweet, crunchy,and satisfying. However, the core ingredients in Filipino food consists of coconut vinegar, tamarind (sampaloc), noodles (pancit), banana ketchup, fish or shrimp paste (bagoong) and dried fish. Among common and popular Filipino dishes are known as Adobo,Kare Kare, Pancit and Sinigang. Looking for a place to relax and experience countryside organic farming in an urban setting? It’s possible at May’s Organic Garden and Restaurant in Bacolod City. Savour tasty organic food, get involved in fun activities and experience hands-on lessons in organic farming. Stay in spacious, clean and comfortable rooms and get access to various types of fun activities at Lakawon which is a 16-hectare, banana-shaped island off the coast of Cadiz in the northern portion of Negros Occidental, a province in the Negros Island Region of the Philippines. At Lakawon, an air of tranquillity is adorned with shady coconut trees, and there is no better spot to watch the gentle waves far from the noise and congestion of the modern world. The distinctive atmosphere is evident throughout the resort, from the warm and welcoming staff to the woven roofs of each cottage. Lakawon is also home to Asia’s biggest floating bar. Those longing for a taste of relaxation and fun will be drawn to it. 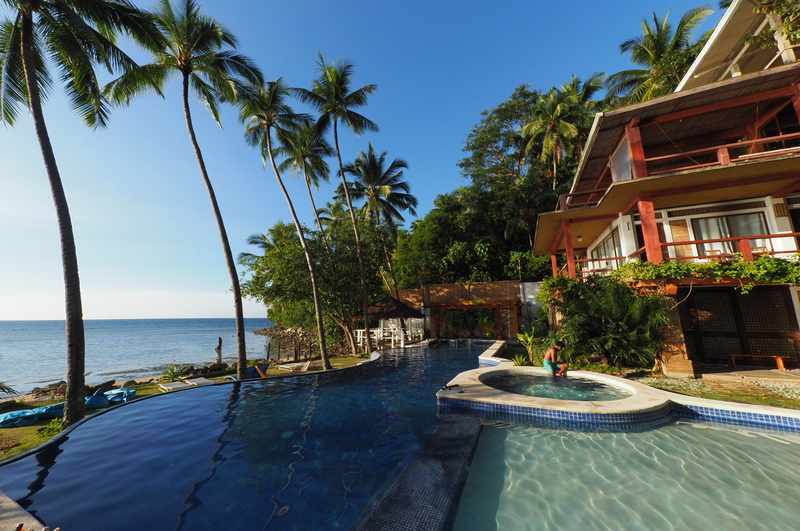 Hidden in the southern heel of Negros island is Punta Bulata Resort & Spa in Cauayan. It sits on 20-hecatres of tropical landscape, sprawling lawns and fronted by up to a kilometre of white sand beach facing the Sulu Sea. 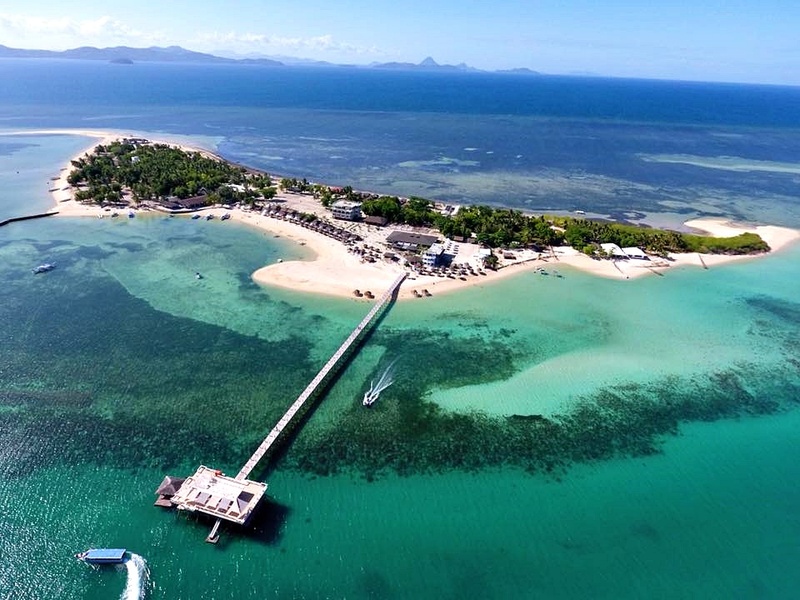 Punta Bulata Resort & Spa is nestled in an idyllic location, a mere 20-minute boat ride from the renowned Danjugan Island Marine Reserve and Sanctuary, a 20-minute drive from the coastal city of Sipalay, and just a 3-hour drive from Bacolod City. It prides itself on its stretch of creamy white sand, crystal clear water, a booming diverse of marine life and a magnificent view of the Sulu Sea. The staff are very friendly and helpful, a reflection of the people of Negros in general. It’s difficult not to gravitate towards something that brings you joy! The word Masskara means a multitude of smiling faces of masks. Celebrated in the city of Bacolod, the Masskara festival is an annual event being celebrated every fourth Sunday of October. The festival was originally started in the year 1980 and is still being celebrated up to this present time. It emerged during a time of crisis. The locals relied on sugarcane as a way to earn money but life became difficult for them due to the economy. Apart from this, at that time, the inter-island vessel MV Don Juan with a lot of Negrenses passengers and the well-known families of Bacolod City collided with the tanker of the Tacloban City. Due to this, the MV Don Juan sank in Mindoro on its way to Bacolod coming from Manila. This tragic and unfortunate event took 750 lives in total. To uplift the spirit of the citizens and to once again create a lively spirit in town after the tragic events, the City Mayor Jose Montalvo proposed the beginning of the “Festival of Smiles” which is commonly known today as the Masskara festival. The highlight of the festival is the street dance competitions. This involves the preparation of majestic costumes and props, stunning choreography and creativity to make their presentations exceptional. It’s a world-class celebration that should not be missed! Choose a mask and connect to the pulsating fun! Among other places that will wow you while you’re in Bacolod are the Ruins, San Sebastian Cathedral and Jojo Vito’s shop. Your love for the Philippines will deepen the moment you venture further more into other places. While in Iloilo, join the city tour, bask in the beauty of Islas de Gigantes, go spelunking at Pawikan Cave, take a stroll along the Iloilo River Esplanade or view Iloilo city on top of Iloilo City Hall’s building. Remember to say Mabuhay to its people when you arrive and before you leave! It is the Filipino way of wishing someone good luck!